*Minimum $10 order required for all credit card payments at register. To bring you the best possible customer experience we are now partnered with Favor. 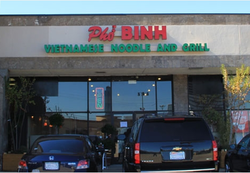 Favor is the easiest way to get Pho Binh delivered to your door. Favor app download available in the Apple Store, and Android app on Google Play.